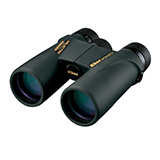 What are Best Binoculars for Hunting? There are hundreds of cheap, best binoculars for hunting out there, but which ones really stand head and shoulders above the rest? A hunter traverses some tough terrain in many different lighting conditions, encounters some messy obstacles, like tripping into a waist deep puddle, and does some funny stuff like fall out of trees, smash into rocks… the list goes on and on. If you want a pair of binoculars that not only performs well but will live through all of the above with you, then this comparison guide of the best binoculars for hunting will help you find what you are looking for. Binoculars & Image – The product name and an image of the camera being reviewed. Binocular telescopes, field glasses, or best thermal binoculars… whatever you choose to call them, they are simply the result of hundreds of attempts by inventive-minded people to attach two telescopes together and align them perfectly so that both of your eyes will focus on a magnified object. Not only would you see it perfectly focused, but ideally you would also be able to recognize depth perception and compare relative sizes accurately. The first models that actually worked well were invented about the year 1681, and have been continually improved ever since, providing some really top rate models today. The first basic design in binoculars used a type of lens system invented by Galileo (for the telescope), consisting of pairing a convex objective lens with a concave eyepiece lens which together magnified a distant image. The resulting illusion achieved by bending the field of view, was a 2D object in the middle of a roundish plain, which, although it was a miracle of the time, was incapable of much magnification, and created an odd perception of the depth around the primary image. Although this simple design can still be seen in some of the toy binocs given to kids to play with, most modern binoculars utilize a very different lens and light refractory system. The use of prisms and angled mirrors has vastly improved the perspective seen through today’s available binoculars, and the 3D images you can focus in on are easier to base judgments on. 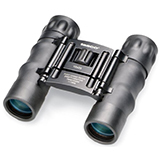 New light allowances and different designs for day and night offer the perfect pair of binoculars for each situation. Why do I need binoculars? Say you’re hiking through dense forest looking for deer. Everything blends together and you keep stopping and scanning the trees and brush… but you can’t tell if that clump of something 200 yards away is a deer or not. You quickly lift your binoculars from your chest, where they are hanging all handy dandy, and check out the clump. Nothing there, but now you can keep going without wondering if you just missed a great shot. You sweep the field with your binoculars just to make sure you didn’t miss anything, and there ya go! 210 yards away, a perfect beauty is placidly standing still, without the slightest hint that you are there! You drop the binocs, raise your rifle and re-sight the deer through your scope, pop off a perfect shot… and you just made those binoculars do a lot of work for you that your legs didn’t have to. The convenience of being able to focus both of your eyes equally with a pair of binoculars is worth its weight in gold. How do I find a good pair for my particular needs? To find a good pair, you simply need to figure out what you are going to be using it for. You’ll want weatherproof, drop proof, multi-coated lens binocs if you’re worried about them getting bashed and battered. 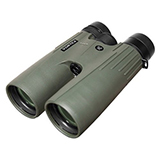 If you are up in a high, stationary position for long distance shooting, you’ll want binoculars with a high magnification rate. If you hunt primarily in early morning/late evening times when the light is not perfect, you will want a pair that is rated for low-light conditions. These are designed to make use of every bit of available light so you can see better, but if you used a low light binoc for a mid-day bird watching excursion, you wouldn’t see much because the exit pupil diameter is too small. The ideal binoculars for your intended usage will have an exit pupil diameter that matches your actual eye’s pupil diameter, which depends upon the lighting conditions you are out in. When it’s bright out, your pupil is very small. When it’s dark out, your pupil is very large. You want binocs that will match. We’re getting into some specialized terminology here, why don’t we go over what some of these terms mean? Exit Pupil: We just discussed what this means, but for a little more technical information, the average fully dilated pupil measurement is 7 mm. The exit pupil is a concentrated beam of light which is sucked in by the objective lens. The actual diameter of the beam is the objective diameter (usually 7mm) divided by the magnifying power. The diameter of a pupil during full sun is about 3mm, which would be the exit pupil measurement of a 7×21 pair. Anything larger than that in full sun, will produce shadowy circles around your view holes, anything smaller will reduce the amount of area you can easily view. Yes, there is math involved, but if you do a little research, like you are doing by reading this, you’ll be able to understand why you need to think about what binocs to get. 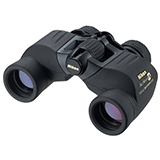 As a parting comment, most people don’t use their binocs in full daylight conditions, so larger exit pupils are always a good choice when purchasing a pair of binoculars. Field of View: The field of view is the width measurement of the plain you can see at each adjustment. If you drew a triangle using each lens of the binocs as the point from which two of the sides of the triangle start, the base of the triangle would be your field of view. The magnification setting you are using determines the size of your field of view. Magnification and Objective Diameter: The two measurements you’ll see as the main classification description on a pair of binocs are the magnification rate and the objective diameter, almost universally in that order. A larger objective diameter means more light is let in, which we discussed above in the paragraph about the exit pupil. The number indicating magnification tells you exactly how many times the object is magnified. If the measurement is 9×50, you will know that the binoculars magnify the object up to 9 times larger, and the objective diameter lets in much more light than one classified as 9×25. More light will give you a sharper, more defined image. Now that we have gone over some basic terminology, what other features do you want to see in a good pair of binoculars? Multicoated and fully-multicoated lenses are a great feature. Multicoated means the lenses received multiple coatings of glare-reducing, scratch resistant coating material, while fully-multicoated means any part of the lens that is exposed to the air inside and outside are coated with the protective coating material. Waterproof means the body is sealed up tight and usually flushed with gas which keeps the seals tight, also effectively fog-proofing the lenses as well. The temperature inside will remain steadier than out, reducing or eliminating condensation. If you are looking at a pair of binoculars that utilizes roof prisms (mirrored parts) as a refractory aid, then terminology such as “silver coated” or “dielectric coated” is referring to the protective coatings put on the prism mirrors. There are other, less quality coatings such as p-coating or aluminum coating, but you should look for the first two mentioned, as they will last much, much longer. So, what do the pros use? 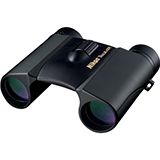 The following three pairs of binoculars are consistently chosen as the best general binoculars used for most hunting conditions. They each feature fully-multicoated lenses, roof prism refractory, are fully weatherproof and waterproof, and offer great warranties. At the top of the list, with a price to match, this pair of binocs gives you an incredible, sharp field of view at 399 feet from one thousand yards. A 4.9 mm exit pupil provides all the light you’ll need for general hunting purposes, and there is a full lifetime warranty… good news as the average online price for these babies is about $2300.00! 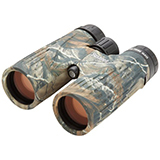 With a field of view of 319 feet at one thousand yards, crystal clear dawn and dusk vision because of the 4.2 mm exit pupil, and the option to mount on a tripod, this highly rated pair of binoculars is a favorite mid-price option. They can be found online for about $590, and come with an awesome unlimited lifetime warranty. There are higher rated binoculars out there, but for the quality AND price, the Bushnell Legend HD Camo is a great all-purpose choice. With an exit pupil measurement of 4.2 mm and an awesome field of view of 342 feet at one thousand yards distant, it can be mounted on a tripod for steadier high-magnification viewing, and will set you back an average of $250. It also comes with a limited lifetime warranty. So there you have it! There are a lot more options out there, the ones we covered just happen to be favorites among many hunters the world over. Now you are equipped with the information you need to decipher what kind of binoculars would be the perfect choice for you. Have fun!